1. Does any family member have a greater storage need than anyone else? 2. Why is this? Do they have hobbies that require storage space (sport/craft or collections) or are they holding onto sentimental items? 3. Do you have enough space to store the things that each family member wants to keep? 1. Audit each room in your home to identify what is currently stored in each space. 2. Identify the key current storage zones in your home i.e. loft, garage, cellar, under stairs, built in cupboards etc. 3. Declutter the things that you no longer need. 1. 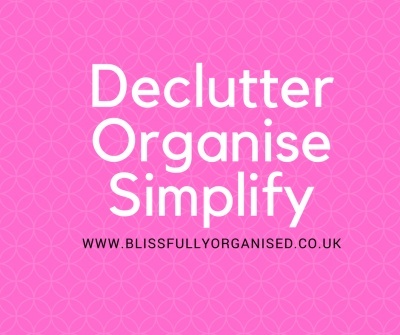 Focus on decluttering your things and the areas that you feel responsible for. You are doing this for you. 2. Talk to your partner about the changes that you would like to make to shared areas and the benefits that you feel this will have for the whole family. 3. Accept that they may not be on board to begin with but after witnessing the changes and a simplified home management will often inspire them to get started themselves. 1 Agree key tidy tasks with your partner – It’s important to discuss key household tasks and how these can be shared. 2 Work with your children – when they have finished playing or completed a craft project ask them to tidy up. It may feel easier to do it yourself but it’s important to develop tidying habits with your children at a young age and continually enforce them as they grow older. You need to set clear and age-related tasks for them to complete. As an incentive you could create a list of treats together which can be added to a jar. Once they have completed the tidying tasks they can select a treat from the jar. The treats don’t need to be expensive but things that they like to do and value. 3 Stop cleaning older children’s bedrooms – If your children are old enough to clean their rooms and make their beds, let them to it. Again, make it clear what needs to be done. A room redecoration could be a good incentive to keep their bedroom tidy. 4 Reduce the number of decorative items – This will create a calmer home environment, reduce the number of breakages and reduce time spent cleaning. 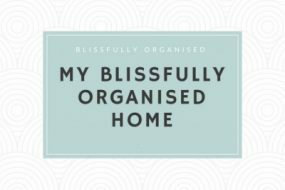 5 Daily tidy ups – spend 20 minutes at the end of the day returning any misplaced items back to the correct room, putting clean laundry away and preparing for the following day i.e. nursery/school bags, packed lunches boxes/water bottles, homework/school letters. 6 A Place for everything – Misplaced items can easily gather in clutter zones such as the dining table, kitchen worktops, hallway etc. Create designated spaces for frequently used items and supplies. So that you can quickly and easily find what you need when you need it. It’s important to have a place for everything and that each family member knows where things are stored. 7 Put shoes and clothes away – When you return home or take off your clothes you should put things away or in the laundry. Resist the temptation to throw them on a chair or on the floor. These piles will grow quickly, and you’ll spend more time looking for misplaced items. You may need to review your clothes storage space if you are unable to put things away easily. It’s important to have a well organised wardrobe/drawers to save time getting ready and save money by not buying duplicate items. 8 Limit the extras – When auditing your home, it’s important to identify any duplicates or extras that you have accumulated. These items are taking up valuable storage space, creating more clutter and making it more difficult to find what you need.